Known for its disarming beauty, Langtang has lured thousands into its regal splendor for years. But the colossal damage caused by earthquake 2015, seemed to shadow its beauty, only for a while.What stands out despite the catastrophe is the indomitable spirit of the people around. After just a year after the earthquake, the residents reclaimed the site as their home and source of livelihood. The progress made since then is consistent and the message is loud and clear; it is safe and open for trekking. Most of all, the warm smiles, welcoming hospitality and the resilient spirit of the people awes you and changes your outlook on life. Here’s a brief look at the mountainous valley, its rich authentic culture and uniqueness. 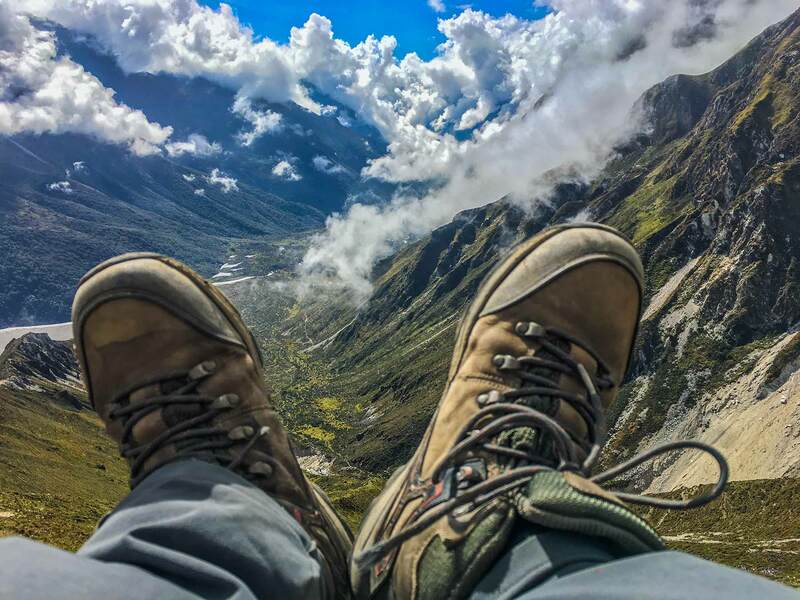 Langtang valley’s most tempting characteristic has got to be its uniqueness – the trail goes through rivers, mountains, hills and meadows. The settlements are beautiful with the dominance of the Tibetan culture owing to its proximity to Tibet. But that’s not it, witness equally breath-taking Langtang Lirung (7000 m ) high, located at the border of Nepal and Tibet. You get occasional glimpses of the mountain as you begin your expedition. While the trek offers you natural beauty in every form, whether it is ridges, valleys, lakes or rivers; the Ganesh massif is a sight to behold. The entire massif is composed of 5 mountains, and Ganesh V is considered to resemble Lord Ganesha (Hindu God with the face of an elephant). The sight will make you want to start another expedition to the massif and that’s not a slightest bit of exaggeration. It’s so quite that you will be able to absorb all the beauty around into every cell of your being. The infallible beauty of the nature overwhelms your senses and takes this journey to a whole new level. Your journey is only accompanied by raw nature – whether it is the ‘BhoteKoshi’ river, wide ridges, galore of purple, white and pink blossoms, the quiet forest hills or the occasional sighting of rare fauna. Langtang trenches your thirst for that calmness, and you are left feeling thoroughly renewed. You won’t be able to tell the story of your Langtang trek without mentioning the heart-warming hospitality of the people around. For one thing, even if the teahouses may be in the reconstruction phase, you will get everything you need – a fulfilling meal, hot beverage, warmth and happy smiles. Langtang valley region is located just 19.0 miles away from Kathmandu. You begin the trek from Syabrubesi and then you trek all the way from Lama Hotel, to Mundu, to various ridges and finally to the Kyangjin Ri, the highest point. With an easy climb, you reach as high as 7000m high. The view that awaits you at the summit is enthralling and enrapturing in its own way. The somber realization of what the Langtang valley has gone through and still seeing it standing tall and beautiful will restore your belief in the resilience spirit of humanity. Langtang is currently devoid of visitors due to the earthquake back in 2015. Mountains shook, rocks crumbled down and hundreds of residents and visitors lost their lives under their weight. The misfortune wiped out some lively settlements completely and the rocks and barren lands tell you the same heart-wrenching story. At the same time, it also tells you a staggering story of an inspiring journey, a journey of recovery and hopes people have continued to make since. The scars have begun to fade and the site is getting rehabilitated and which is why it’s the best time for you to visit it- away from the humdrum of city and crowded faces, the site offers you solitude and desolation amidst the nature staring back at you with its abundant beauty. April 27 A playground high up in the mountains!